Corporations, governments and nonprofit institutions in Rhode Island, Greater Boston, Cape Cod and the Islands, and southern Massachusetts have relied on Banner Environmental for over 25 years. We are your trusted resource for expert information and fast, reliable service that solves the problem. 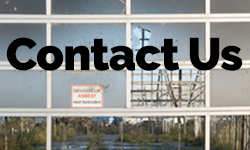 Banner Environmental offers strict compliance in our asbestos remediation, mold removal, black/gray water cleanup, and interior demo services. Call us at 866-934-2374 or use the form below to contact us today.